US industrial design executive who was born in Lenox, Massachusetts, and later lived in Greenwich and Old Lyme, Connecticut and Hobe Sound, Florida. He was a graduate of Yale University, class of class of 1937. While at Yale, he was a Whiffenpoof and president of the Yale Glee Club, and throughout his life remained active with these and other choral singing organizations. He recently established two scholarships at the Yale School of Forestry and Environmental Studies. 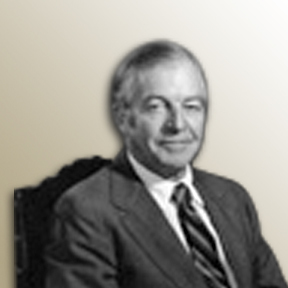 He also attended Harvard Business School before joining his family's firm, W&J Sloane, in New York City. During World War II, he managed the firm's shipbuilding contract with the U.S. Navy in Wilmington, NC, fitting out the interiors of Liberty Ships for the North Carolina Shipbuilding Company. Following the war, he enrolled at Pratt Institute in Brooklyn, NY, where he studied and later taught industrial design, before becoming a founding partner of a design firm in New York, Griswold, Heckel and Kaiser, where clients included such companies as General Motors and RCA. He joined and was awarded Fellowship in one of IDSA's predecessor design organizations (IDI) , and when the organizations merged in 1965, this was honored by IDSA Fellowship. Griswold served on many boards of charitable organizations, including The Boys & Girls Clubs of America, where he was recently honored with their highest national award for his 65 years of service as a national trustee. He also served on the boards of The Boys & Girls Clubs of Greenwich, Pomfret School, and International College in Beirut, Lebanon, where he served as Chairman of the Board from 1975 to 1987. An avid golfer, he was a member of The U.S. Seniors Golf Association, The Round Hill Club in Greenwich, The Jupiter Island Club in Hobe Sound, FL, The Seminole Golf Club in Juno Beach, FL, The Royal and Ancient Golf Club of St. Andrews, Scotland, and the Honorable Company of Edinburgh Golfers in East Lothian, Scotland. He was also a member of The New York Yacht Club and the Yale Club of New York.